Offers various general and specialised programs across all disciplines. Application deadlines and fees vary by program. Offers various general and specialised programs across all disciplines in 26 countries. Application deadlines and fees vary by program. Work the World offers tailor-made healthcare placements across multiple disciplines in Asia, Africa and Latin America. No application deadline, fees vary by program. Disciplines include: Medicine, Dentistry, Nursing, Midwifery, Physiotherapy, Occupational Therapy, Speech Pathology and Exercise Science. While not eligible for exchange, health and medicine degrees are eligible to go on overseas placements. You can find out more about available placements by emailing dthmplacements@jcu.edu.au. The Nursing degree has included one elective subject into their new Bachelor of Nursing program. This means students may be able to take a subject overseas in their breaks – subjects have to be health-related but they’re willing to work with students. Students should look to do this subject in their 2nd year. Examples include Paediatric winter school in Sweden with Jonkoping University and Youth with a Mission (YWAM) Mercy Ships to Papua New Guinea. Students can email dthmplacements@jcu.edu.au to find out what programs are suitable and available at the time. Most short programs hosted by JCU partner universities require that you pay fees directly to them. This applies even though we have an exchange agreement in place. This program is aimed at undergraduate and postgraduate students from varying disciplines. The Program appeals to students studying evolution, ecology, conservation, marine biology, marine ecology, people, politics, environment and sustainable tourism. Accommodation: USFQ matches interested international students with carefully screened host families in Quito. Host families are required to provide students with their own bedroom (bathroom may be shared), Wifi internet access, and two meals per day (breakfast and dinner). Limited scholarships are available for the Hessen Universities Winter and Summer Universities (IWU and ISU) from the Hessen Ministry of Higher Education, Research and the Arts. These scholarships cover tuition, accommodation and German health insurance. 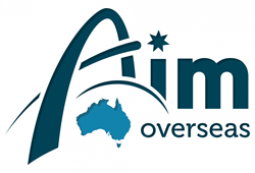 The Hessen-Queensland Exchange offers short-term study abroad options twice a year. They are all English-taught and include an intensive German language course. There are three Hessen International Winter Universities (IWU) in three different locations in Hessen. They take place for four weeks between December and January. Some of the short-term programs are part of a semester combination package program. Find out more about the semester program packages. Applications are due into the JCU Global Mobility Office by September 30th for the Winter Schools, and March 15th for the Summer Schools - contact the JCU Global Mobility Office at globalmobility@jcu.edu.au for further details regarding the application process. Six different programs are offered: The European Union in a Global World; European Business and Economics Programme; Markets and Management in Europe; How Europe Works: Institutions and Law in the EU; Learn the Language, Understand the Culture; and From Freehand Sketch to Optimized Product: Computational Structural Mechanics and Fluid Dynamics. Tuition Fee: €1,100-1,650 (depending on the program). The program is focused on Europe and the Middle East in Transition, and the four modules offer multiple perspectives on this topic. The modules available are Politics and International Relations; Business and Economics; Cultural Studies and Sociology; and EU, Germany and the Middle East. This is an intensive Italian language and culture studies program. This is a Japanese language and culture course and is designed to expand your knowledge of Japanese and Asia Pacific cultures and deepen your intercultural understanding. Tuition Fee: ¥500,300 (including accommodation). The International Winter Program is a hybrid program providing you with a window into Korea through courses and cultural experiences. The International Summer Program offers two sessions. The first focuses on learning and experiencing Korean society and culture, whilst the second focuses on learning the Korean language. When you join the International Summer School, you are booking your place to become part of an internationally recognised centre for world-class research, enterprise and learning. Across four weeks, you will meet many of the students and staff that make the University of Southampton one of the top 100 of universities globally. Tuition Fee: 3,350 GBP (including accommodation).